This is the only catalog in the HVAC industry where all these wrenches are shown ON ONE PAGE! Honeywell Adjusting Tool- For calibrating and adjusting various pneumatic devices. 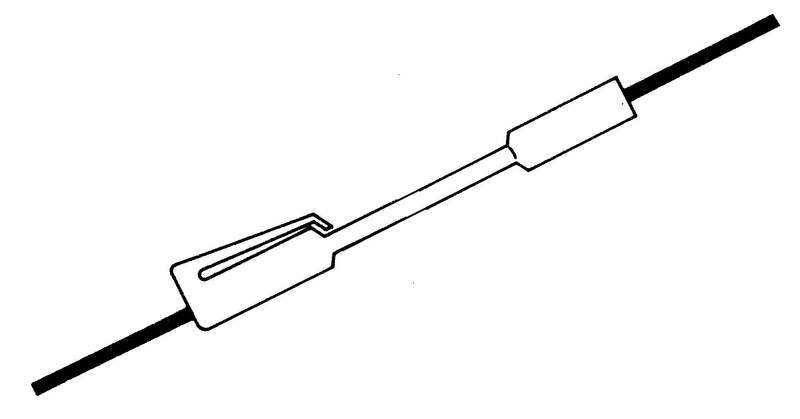 Johnson Controls Adjusting Tool- For opening and adjusting Johnson thermostats. Honeywell Gauge Adaptor- For testing Honeywell thermostat branch line pressures. Johnson Controls Adjusting Tool For T4000 series thermostats. Powers Key For “D” type thermostats. Powers Calibration Wrench and cover screw tool for 192 series Powerstar stats. Johnson Controls Gauge Adaptor For testing screw in test connections on Johnson thermostats. Johnson Controls Hype Test Assembly For plug-in test connections on Johnson equipment. Powers 6'' Gauge Adaptor For testing Powers equipment requiring fitted 6" flexible tubing. Powers gauge Adaptor For checking pressure in Powers TH 192 stats with cover in place. Johnson Controls Key (Small) For unlocking covers. Robertshaw Adjusting Tool For adjusting thermostats, receiver controllers and relays. Blade screwdriver with Magnet for general use. Robertshaw gauge Adaptor- For testing branch outputs of 2210 series (T15 and T16) controls. Phillips head screwdriver with magnet for general use. 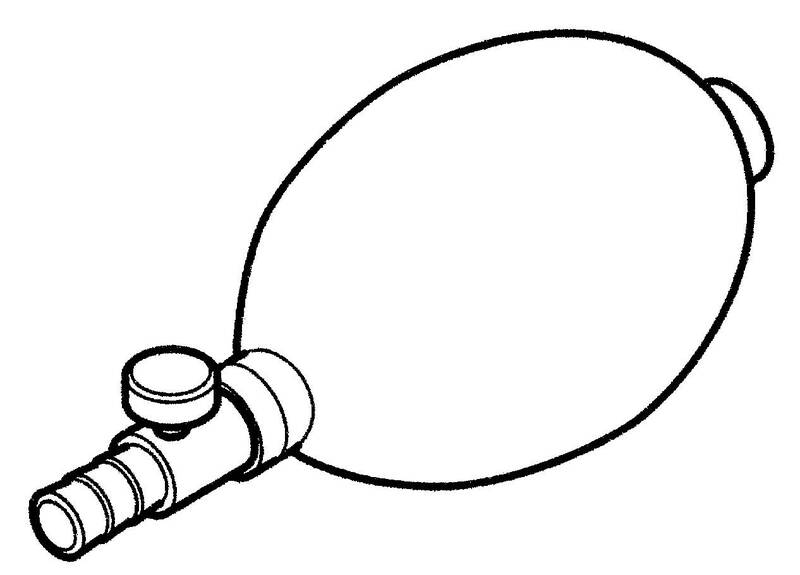 PNEUMATIC ASPIRATOR BULB KIT Quick pump-up air supply for testing or calibration. 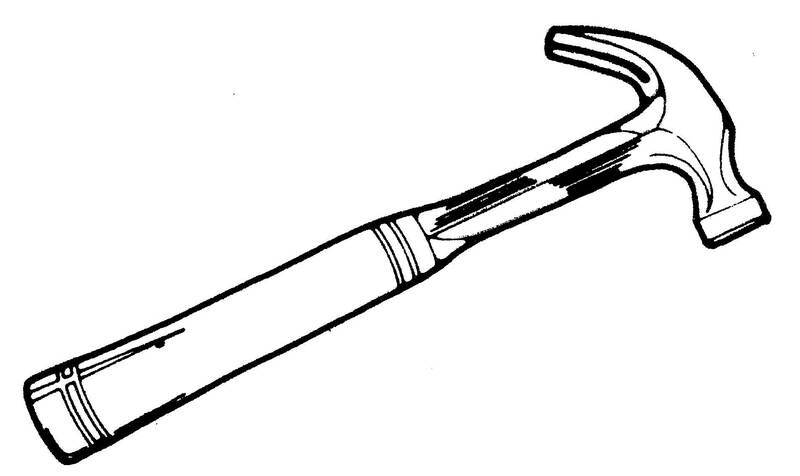 Barber Colman Wrench For adapting Barber Colman equipment (5/64x.048 Allen 6 spline wrench). 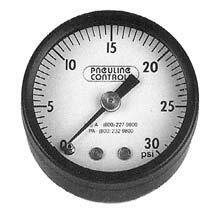 PNEUMATIC CALIBRATION REGULATOR Maintain precise pressures when calibrating receiver controllers. 3" Barber Colman Gauge Adaptor For testing branch line pressures on Barber Colman 2 pipe stats. Honeywell, Johnson, Powers, Robertshaw, and Barber-Colman. For illustrations, please see chart above. 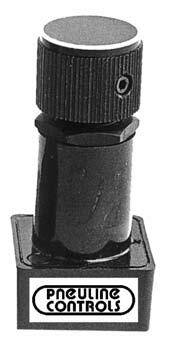 This Pneuline key fits most all locking screws on current and older thermostats. It allows access to the thermostat for calibration. It is also used for calibrating many thermostats. Flexible shaft for hard to reach areas. • Honeywell, Robertshaw, Powers, Johnson. 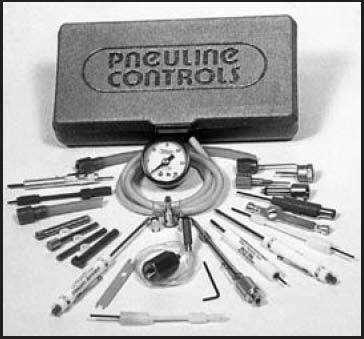 This Pneuline gauge is used for calibrating pneumatic controls such as relays, controllers and actuators. Used to indicate controlled, air, main air, branch air, and more. Conveniently mounts on gauge adapter fittings, calibration devices or directly on controls. Handy pocket screwdriver for all uses. 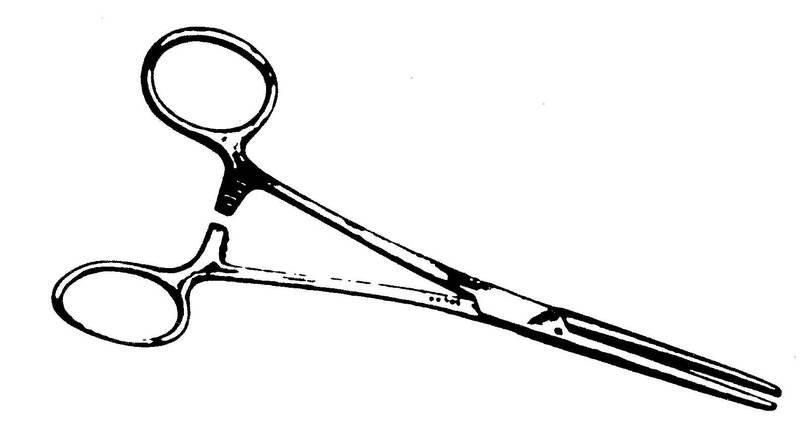 The blade type has a narrow instrument blade for working with miniature devices. When all else fails and frustration sets in, this handy tool can remove any manufacturer’s thermostat—even foreign. (Be sure to protect face when tool is in use). Instruction included. 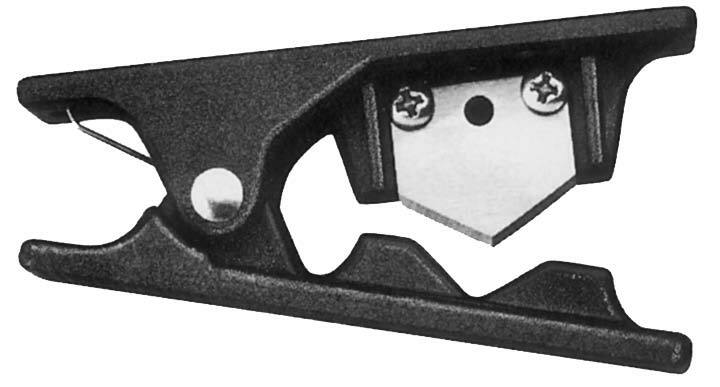 This plastic tube cutter is the most compact shear available. It easily cuts polyvinyl, polyurethane, and most plastic tubing. From 5/32" to 1/2" OD. Designed to automatically close for safety. This copper tubing cutter is of a compact design. Perfect for many applications for both hard and soft copper. Aluminum alloy body. “Third Hand” tubing clamp makes downstream corrections on flexible tubing without shutting down main air pressure. Used on 5/32", 1/4", 3/8", 1/2" flexible plastic tubing. 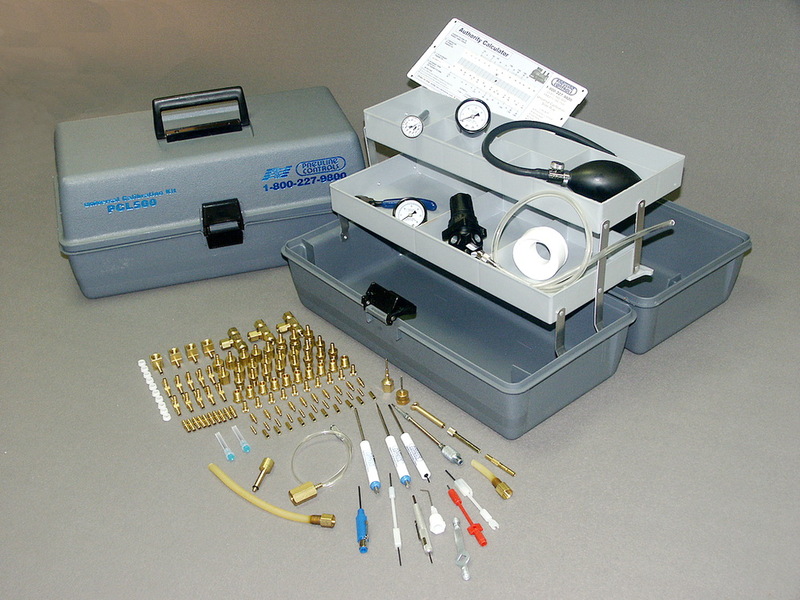 Quick pump-up air supply for testing or calibration. Includes 1/4" barbed gauge tee and 12" of rubber tubing. This multi-tube bender is for 1/4", 5/16", and 3/8" OD tubing. It has markings calibrated to perform accurate right and left hand as well as offset bends. Open side slips onto tubing at any point. This compact precision regulator is used to maintain precise pressures when calibrating sensitive devices such as receiver controllers. Precision jaws fit tight areas for panel use. Spring return open. Extra sharp blades for instrument wire and plastic tubing (not to be used on hard wire).